How would you get yourself ready for a flight to Brazil? Pack your suitcase with plenty of beach clothes…check. Passport is current and in order…check. Spanish lessons are progressing….check. Flights are booked….check. You are ready to go! Now imagine how a Purple Martin prepares for it’s flight to Brazil. They take this trip every year at around the same time so it is not a new experience.Food gathered and eaten….check. Feathers fluffed….check. Buddies are ready to go…..check. Off we go! There are many perils on this flight and arrival at their destination is not a certainty. Chances of returning to this great “hotel” next spring are remote. They don’t have the luxury of a comfortable airplane seat to carry them to Brazil. They get there on their own power! Most of the Purple Martins we have living in Victoria’s Inner Harbour do just that…. provided another species hasn’t moved into their nest while they have been gone! Luckily they have a dedicated group of people working on their behalf. In the 1980’s there were only five mating pairs that return to the southern Vancouver Island region. This area is on the northern most tip of their migratory area. As a result of the decline of the species a group of people decided to work to create favourable conditions for them to grow in numbers. The Victoria Natural Historical Society started a nest box program for purple martins in Cowichan Bay. With the success of the first location many more locations of nest box colonies have been nurtured. The species has grown from just a few pairs to more than 140 pairs on Vancouver Island since the program began. This program relies on volunteers to inspect and clean the boxes. 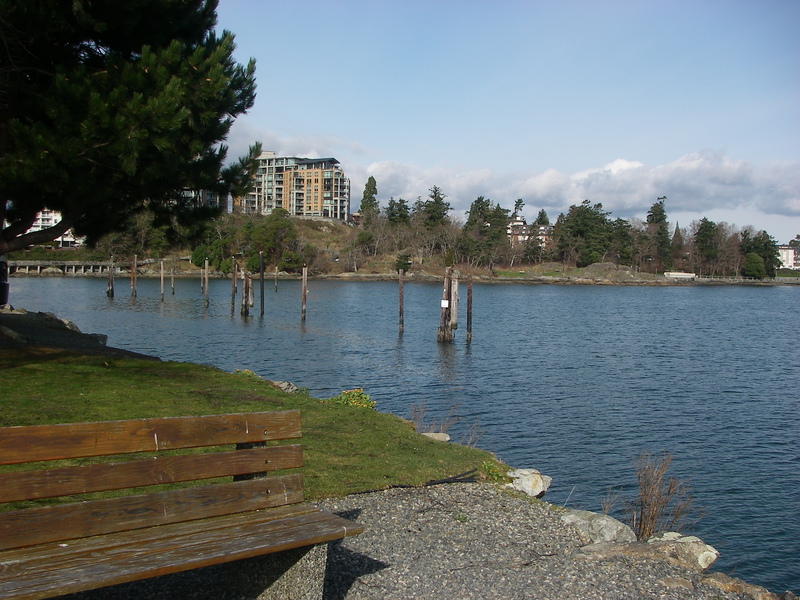 The nest boxes were built on old, abandoned pilings which may be removed at some point which may pose a threat to this program. The purple martin is comfortable living near land and over water which makes ideal hunting for the flying insects they eat. Purple Martins may fly as far south as Brazil and Argentina which can take 2-3 months. They can fly at speeds greater than 40 mph. It is a real treat to paddle past the purple martin boxes on our kayak tours. Watching them hunting and feeding their young is very entertaining. « Life is a Beach in Victoria!